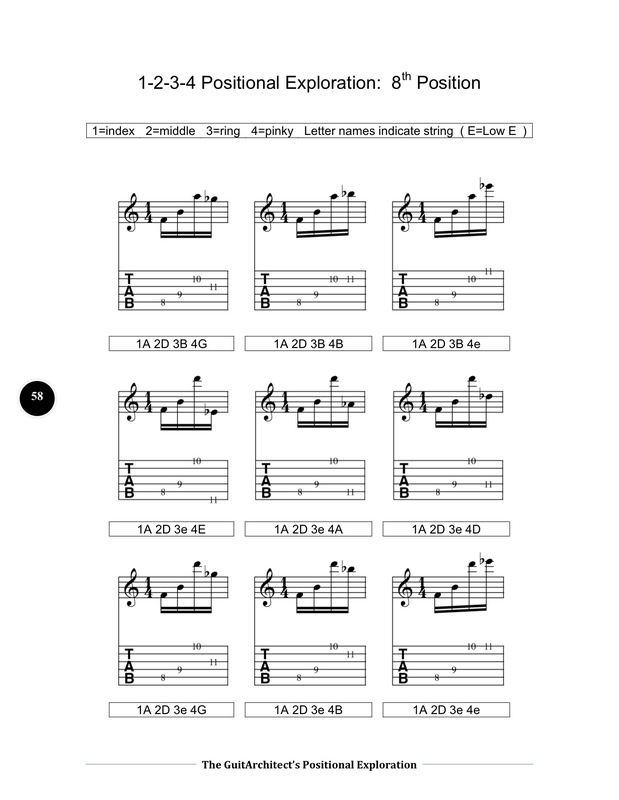 In The GuitArchitect’s Positional Exploration, I’ve taken an introductory guitar exercise and turned it on its head to reveal deep possibilities that exist not only in positional visualization, but in technical awareness as well. 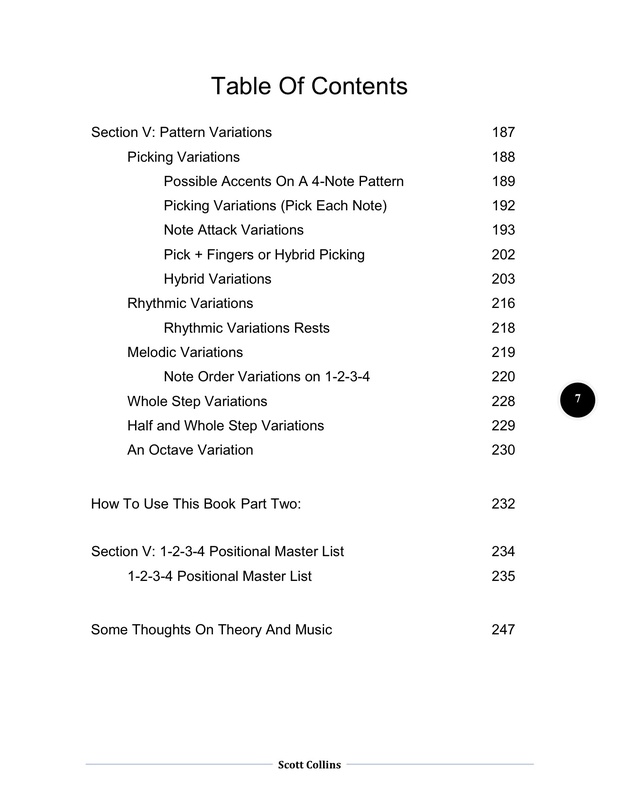 This book shows how to take a simple idea and creatively develop and modify it through melodic, harmonic and rhythmic variations that can be applied to your own music as well. 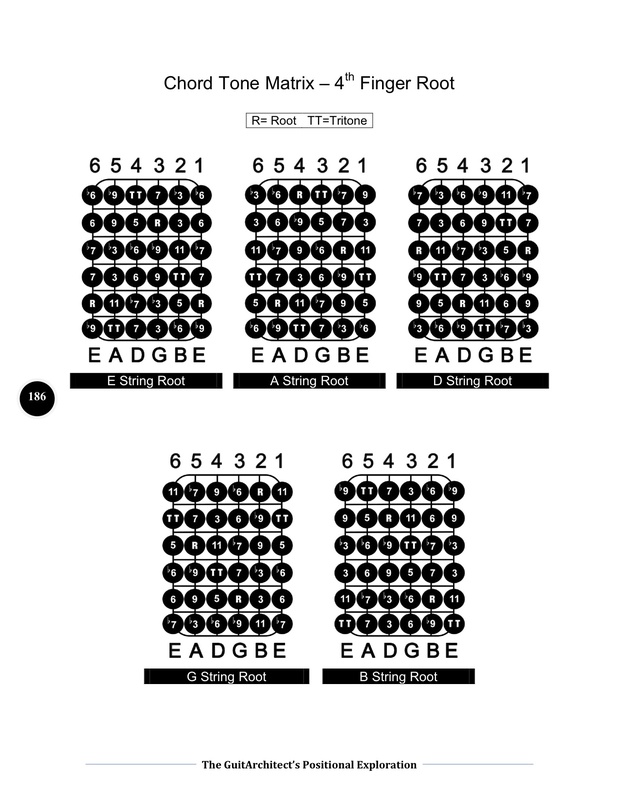 In addition to documenting each example in the 8th position, it provides chordal analysis and a detailed series of charts for determining multiple harmonic interpretation of the notes involved. 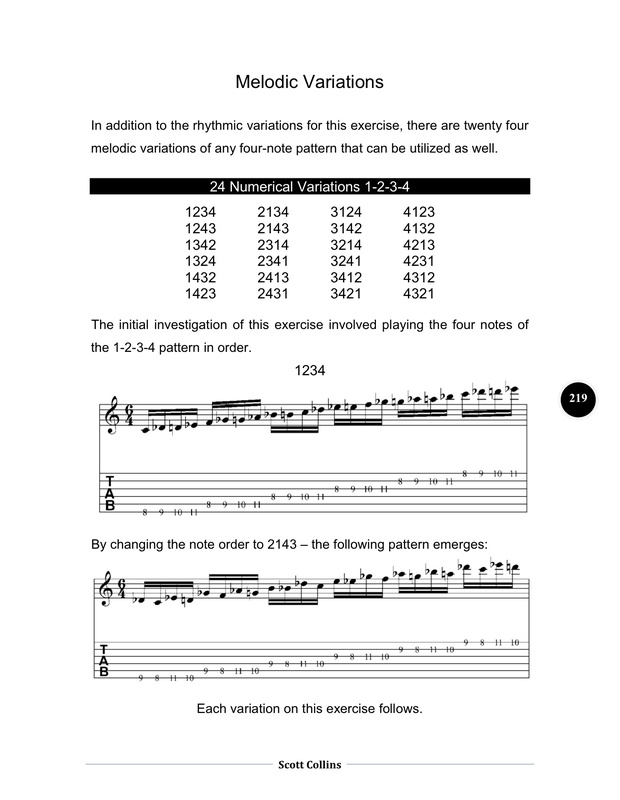 From a technical standpoint, the book explores every possible variation of note attack that can be executed. This could lead to entirely new technical approaches for the reader. From a compositional/improvisational standpoint, the book covers a series of ways to manipulate the patterns, rhythmically and melodically in a systematic way to develop ideas fully. I have a lesson on Guitar-Muse that uses material directly from the book. If you want to get a sense of the content you can see it here. I’ve included jpegs of some of the pages from the Positional Exploration book below. Since the jpegs were converted from the pdf of the book, there’s some pixelation in the jpegs that’s not present in the pdf, but these will still give you an idea of what’s in the book.